للمسافرين الذين يرغبون أن يعيشوا كل ما تقدمه المدينة، فندق مانترا أون ذا بارك هو الخيار الأمثل. يسهل الوصول إلى هذا الفندق ذو 4 نجوم من المطار، فهو يبعد عنه مسافة 25.0 km فقط. سوف يعشق النزلاء موقع هذا الفندق، فهو قريب من أهم المعالم السياحية في المدينة . ببساطة كل الخدمات وأساليب الضيافة التي تشتهر بها Mantra Group تجعلك تشعر وكأنك في بيتك. تتضمن الميزات الرئيسية في هذا الفندق: خدمة الغرف على مدار الساعة, مرافق مخصصة لذوي الاحتياجات الخاصة, واي فاي في المناطق العامة, صف السيارات, خدمة الغرف. تنعكس أجواء فندق مانترا أون ذا بارك في غرف الضيوف.تلفزيون بشاشة مسطحة, غرفة معيشة منفصلة, غرف لغير المدخنين, مكيف هواء, تدفئة هي بعض الميزات الموجود في العديد من الغرف. كما أن مجموعة الخدمات الواسعة الموجودة في الفندق لضمان راحتك تترك لك الكثير من الخيارات لقضاء وقتك أثناء فترة إقامتك. مهما كانت أسبابك لزيارة المدينة، فإن فندق مانترا أون ذا بارك هو الخيار الأفضل لإقامة مثيرة وممتعة. يرجى ملاحظة أن بطاقة الائتمان ومستند التعريف الذي يحمل صورة مطلوبان عند تسجيل الوصول. السند النقدي مطلوب إذا لم تكن هناك بطاقة ائتمان لضمان المصروفات العارضة، وسيتم استرداده عند تسجيل الخروج بعد فحص الغرفة. ولن يتم حساب الرسوم تلقائيًا ضمن التكاليف الإجمالية، وسيتم احتسابها مباشرة عند تسجيل الوصول. تُقدّم خدمة التنظيف أسبوعيًا في حالة الحجز لخمسة ليالٍ أو أكثر. A very warm place that makes you feel it is a home of yours. Except the wifi. We will surely check in there again for our next trip to melbourne if they can offer unlimited free wifi as others. Great location, pool, space, parking, service at reception and reasonably priced breakfast if book ahead. We used it as a night before getting on an aeroplane for 3 adults and 2 children, loads of space and 2 bathrooms for 5 people. It was not very clean though.. fake acrylic nails on the floor of the apartment and the verandah and dishes in cupboards were dirty but I guess we have overlooked this due to the price and would definitely stay again... but really.. cleanliness should be core business there.. I must commend Julian, the counter staff who attended to us who offered to safe keep our luggage as we arrived early. He even recommended us to nearby eatery for lunch, as well as nearby malls for groceries. Thank you Robson for your comments following your recent stay. We are always glad to hear about our guests experiences! It is quite a dated apartment. A strange musty smell when you walk into the apartment but that is expected for a place where cooking is allowed within the apartment. However great value for money and the location is also super. If you have a car with you parking is free for the entire stay. I would definitely recommend this to my friends and family. Nice stay during the holiday season. Check-in was prompt, rooms clean although it seems a bit dated since I last stayed 2 years ago. Only surprise was told my booking is based on "Eco rate" (which I have no idea) and daily room cleaning is chargeable. For a 6 nights stay, this was a bit of a problem. Anyway have to check my bookings properly with Agoda next time. 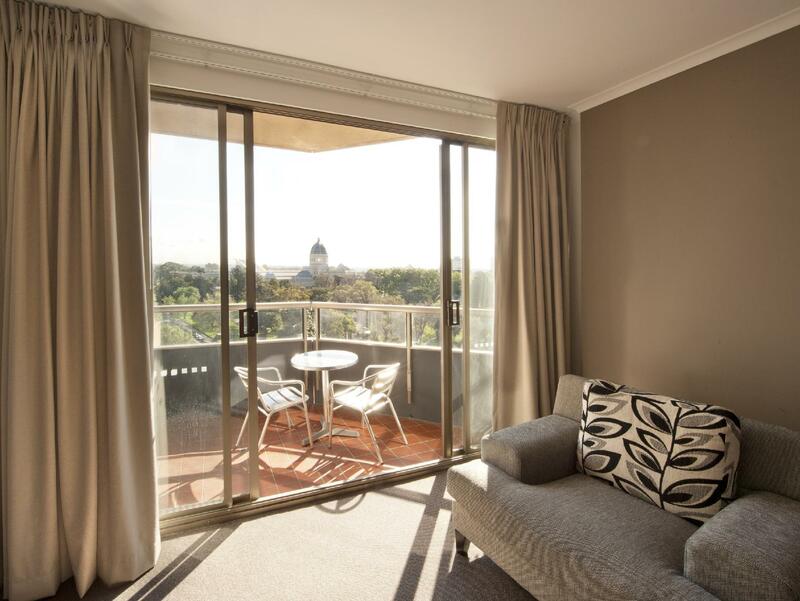 The room is quite spacious, clean and has a great view of the park! Very convenient... walking distance to the trams, theater, restos and shops. Will stay there again and recommend to other travellers. Accommodating staff with excellent service recovery. Clean and comfortable rooms. Good location. On our day of arrival the entire hotel didn't have running water. The staff did their best to help us change to another Mantra hotel. The reception staff Brad was excellent and made our stay pleasant even though we had to move hotels. Hotel also didn't charge for the parking as a gesture of apology for the inconvenience. Great service! Will stay again next time. Location was excellent! Size of apt was also very good and kitchen and laundrette are also functioning in good condition. Enjoyed our stay here in overall, with the excellent location as well as value for money. Size of apt was good with living area and a sofa bed. Separate bedroom with attached bathroom and there was also a balcony. We practically walked to and fro city areas everyday cos of the good weather and walking distance. However, the bathroom is in need of a renovation and the housekeeping service was not tip top. We noticed that only amenities were topped up but not all the surfaces were thoroughly cleaned. But in all, we'd definitely recommend this place for travellers. 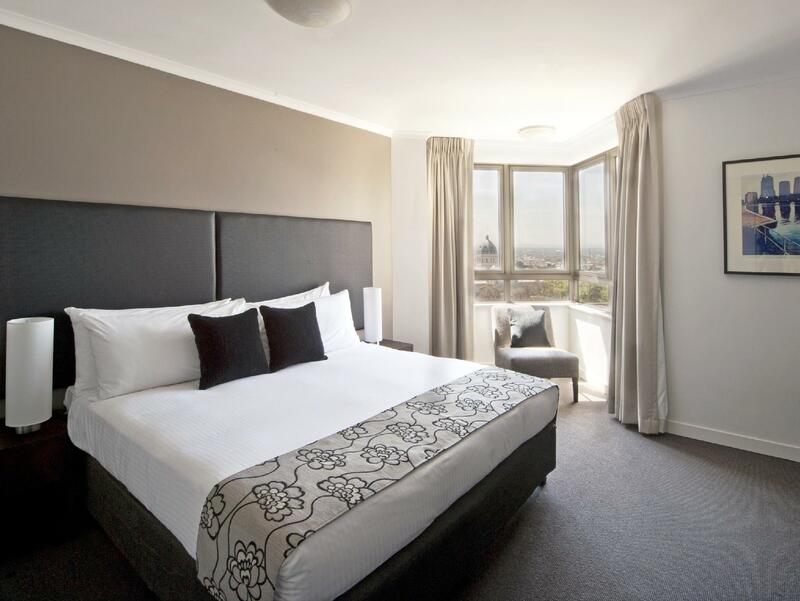 This hotel/serviced apartment is a good option if you need space (ie. families), a central location and a clean room. Service is adequate at best (i.e. they supply a trolley but you move your luggage yourself) and they can be strict about check in/out times, extra linen, etc. 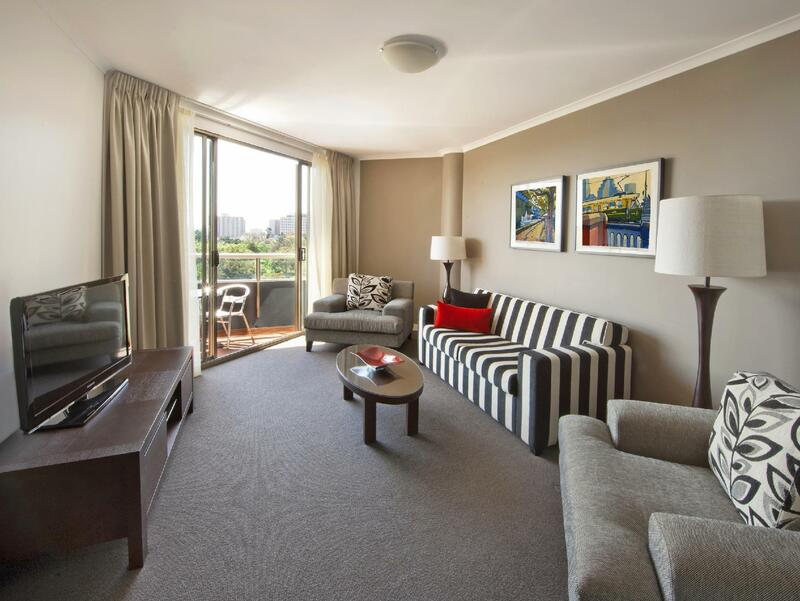 Overall a good option if you need a serviced apartment but if it was just me and my wife for the same money you could get a good hotel in a better location. 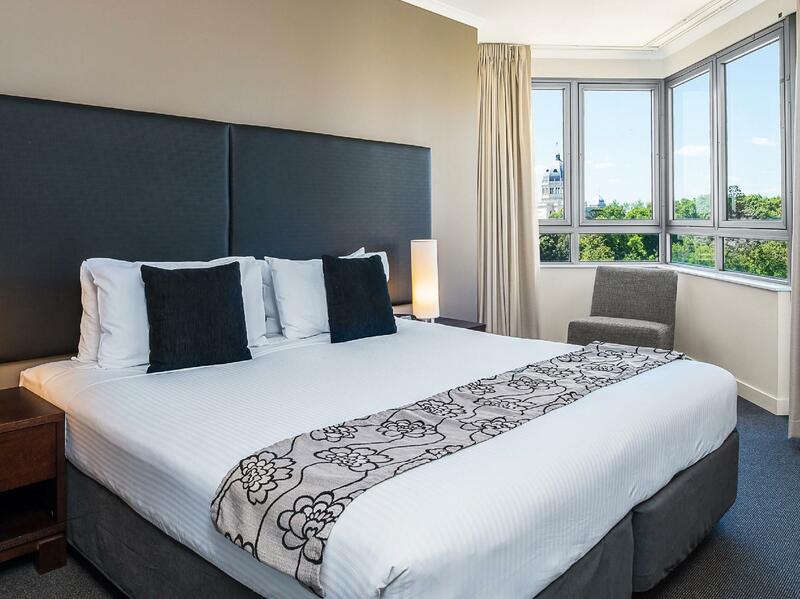 The room at the Mantra was certainly surprisingly large and comfortable and it was conveniently located for access to Melbourne University and the Melbourne CBD. However, the room does not have free wifi (which is painful enough) but it also has payment options that did not suit a short stay. This is disappointing in the 2018. If you don't need Wifi then I would recommend staying here if the location suited. The room was very clean and well Presented, We were on the 11th floor but the sirens outside were very noisy apparently the hotel is near the fire department There was no shower cap in the box and the tissues were empty. Also one of the bathroom doors were locked so I had to call maintenance The parking is not free it’s $30 but is quite expensive. we booked a 2 bedroom apt but agoda stuffed with the reservation which didn't get through to the hotel so we ended up getting an upgrade to a 3 bedroom pent room for free!! the place is clean, neat, the kids loved the heated swimming pool, free buffet breakfast was yummy, location is just few steps from tram stop which is free. just a walk down to chinatown. IGA convenient store just outside the hotel. we were on the last floor level 17 the noise is less but i dont have trouble with noise. the views all day and night are fantastic. definitely will be coming back!! 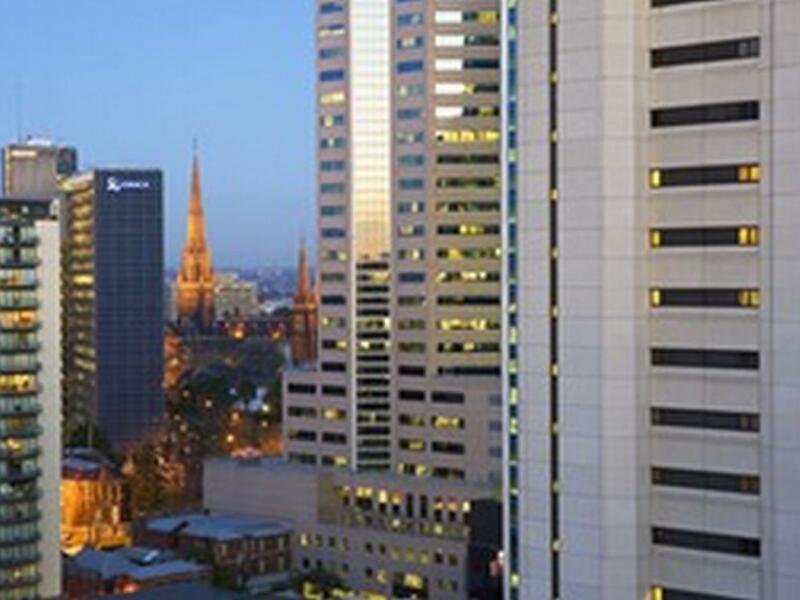 The location is 4 mins away from Melbourne Musuem and around 10 mins away from Melbourne State Library. The room for 4 is reasonably priced but it is evident that the room is quite old. The toilet ceiling leaks and the mirrors have black stains from vapor. But I did think that the carpet is new. Overall it's still a good place to stay with family. To get to Swanston Street ( busy street of Melbourne), it takes around 15-20 minutes walking although there's a Free Tram just outside the hotel ( running on a 12 mins interval). Do keep in mind tho, that there is no WIFI in rooms and lobby. Payable at $15 per day for 3 devices or $70 for a week for 3 devices. Big clean room with convenient kitchen and laundry facilty. Good view of carlton Park and Royal Expository Hall. In walking distances from attractions, such as Central Stations, Bourke Street Mall, Russell Street, Melbourne Museum and QV Market. 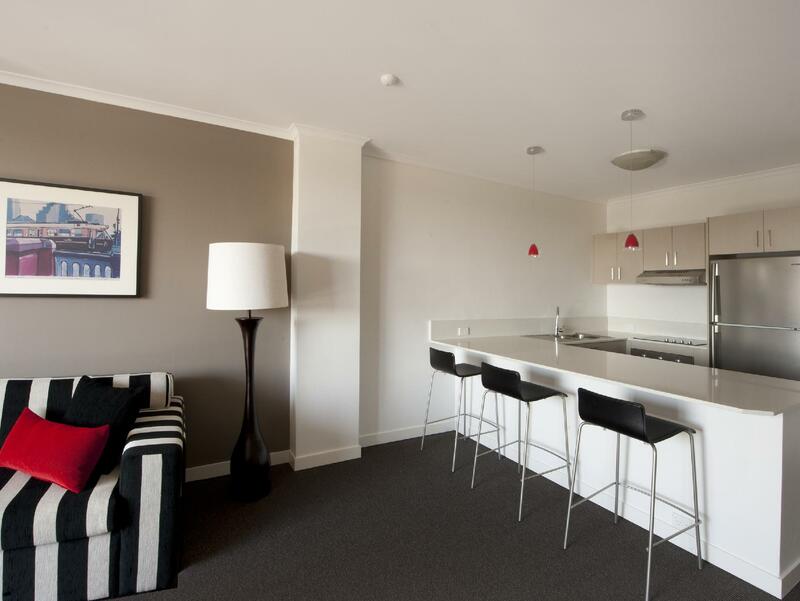 Very close to the tram stops which take you around the city and along the La Trobe Street. Convenient stores, Seven Eleven, coffee shop and restaurants are nearby. Free wifi in the lobby. The apartment was great especially the winter view from the windows. There were several landmarks in sight and the stormy skies made a great backdrop. The living room was large which was good for our family to gather, especially the huge dining table. Some laughs over the shower rooms which had two showers in a stall but quite a nice place to stay. Location wise was good with trams at the corner (although good luck waiting on trams...) and a convenience store right at street level. Not very central to the shopping or the sights if you have to go on foot. But not too far either. Right at the upper right corner of the main transport loop. Happy with the hotel but unhappy with the side booking that Agoda did with booking.com .The booking.com voucher issued is not as clear as the Agoda voucher so I didn't realise that I hadn't paid. This detail was not clear on the Agoda website so take care with this. I have always been a huge Agoda fan but there associations with other booking companies is not good.